Reviews can be helpful when it’s time to shop for replacement tires. Hankook tire reviews can be a helpful resource for potential buyers. Before you invest in new tires for your vehicle, it's always a good idea to educate yourself about current options and manufacturers. Based in South Korea, Hankook Tire was founded in 1941. The name "Hankook" actually means "Korea" in the native language, and the company produces about 50 million tires each year. Sales of Hankook tires have been growing in recent years, and several automobile companies now feature Hankook tires as original equipment on their new vehicles. Many new automobiles produced by Toyota Motor Company, General Motors, and Ford Motor Company ship with Hankook brand tires. Hankook Tires offers products in a variety of sizes and types. There are tires to fit most cars, trucks, and SUVs that are sold in the United States, and Hankook also produces high performance tires for sports cars as well. Typically, reviewers describe Hankook tires as being a good value. Chances are, if you own your car long enough, you're going to need to replace the tires at some point. You'll know it's time to replace them when you notice uneven wear, small cracks, strange road noises, or bulges in the sidewalls. One of the most reliable replacement indicators is exposed wear bars on a tire. Wear bars are lines that run across the width of a tire. 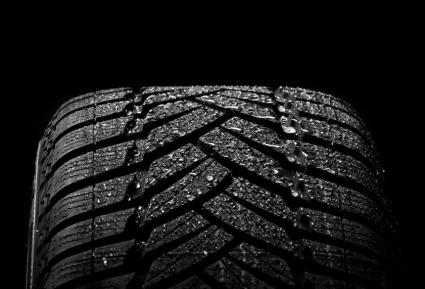 When these lines become exposed, you'll know that it's time to get a new set of tires.New tires typically last from 20,000 miles to more than 60,000 miles. Most car owners get about 40,000 miles from a typical set of tires. Wear depends on brand, road conditions, and your driving habits. 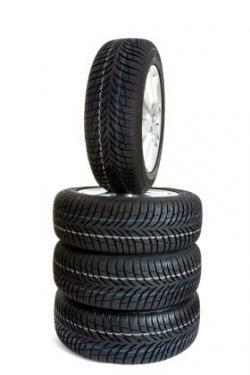 Typical tire prices range from under $100 per tire to almost $1500 for a set of four. Hankook tires are competitively priced, ranging from about $70 to $300 each. Price is influenced by the size and type of tire. When you research tires, look for reviews that are objective and genuine. Avoid reviews that seem to push certain brands, and always read multiple reviews before buying a product. Your best bets for reliable tire reviews are consumer organizations, sites specializing in tires, and informal reviews from other car owners. 1010Tires is an exhaustive source for all things tire-related. You'll find reviews of several models of Hankook tires. The site helps users rate tires based on several characteristics, including comfort level, treadwear, road noise, and performance in various weather conditions. While it does require a subscription, ConsumerReports.org provides reports on its extensive testing of tires. Hankook tires were tested for wet braking, dry braking, handling, and other criteria. Tires are then rated, so it is easy to compare Hankook tires with other similar products. Because tires are a major investment, the ratings and reviews from Consumer Reports may be worth the subscription fee. TireRack.com, an online tire retailer, provides reviews of Hankook tires. Users report on the performance of their tires, and reviews include information like miles driven, driving conditions, location, and driving style. If you're planning to buy a set of Hankook tires for your car, it makes sense to do your research and read several Hankook tire reviews. These reviews will give you some insight into the performance and durability of your new tires, and you'll be better informed when you go to the tire store. For more information on care tire reviews, check out the following LoveToKnow Cars articles.